Some background: while Oath in Felghana has been released in North America after Ys Seven, it is actually quite a bit older. The original game was released on the PC in Japan back in 2005. After Falcom found some success with the PSP, they ported in 2009, which is the version we're getting. 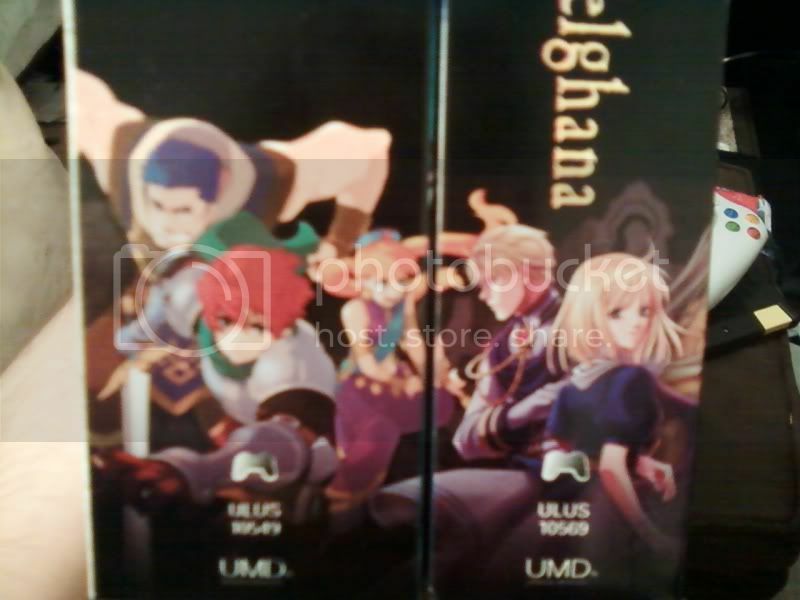 In turn, Oath in Felghana is a remake of Ys III, which was originally released sometime back in 1989 for Japanese home computers. 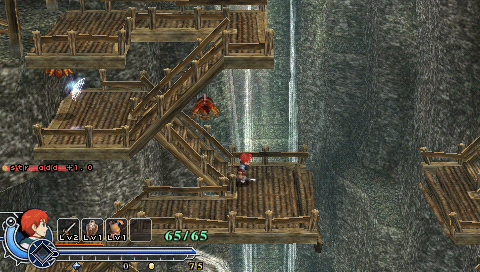 Ys III was considered the black sheep of the series, because it's side-scrolling versus the overhead viewpoint of all of the other games. It's unbalanced and awkward, but also tremendously fun - I like to call it The Best Worst Game Ever Made. (Conversely, the Worst Best Game Ever Made is Vagrant Story, but that's a diatribe for another day.) None of this matters because Oath in Felghana only takes the setting, story and music from Ys III - the gameplay system is based on Ark of Napishtim, which is the sixth Ys game. You may remember the PS2 port from awhile back - which was pretty decent - as well as the PSP port, which was plagued with numerous problems. Please note that these ports were done by Konami, whereas the Felghana port was handled in house by Falcom, and is thankfully absent of any technical issues. So now with that cleared up, let's talk about the differences between Seven and Felghana. This interview with Falcom scholar Tom Lipshultz (who can be seen with me doing a panel on Falcom at Otakon 2008) makes a pretty good analogy, that if Ys Seven is Castlevania: Symphony of the Night, then Oath in Felghana is Super Metroid. Ys Seven has tons of equipment, multiple playable characters, a gigantic overworld, and an expansive story that encompasses 25-30 hours of play. Oath in Felghana is much more compact, with straightforward equipment selection, an extremely (EXTREMELY) combat overworld, and an average game time of 10 hours or so. That might sound like it's worse, but it really isn't - Ys Seven biggest sin is that it was simply too padded, the areas were too long, there was too much pointless story, and much the extra equipment and skills were a bit extraneous. Felghana is much more concentrated as a result. Felghana, in general is quite a bit harder, mostly because it eschews stockable healing items completely, ensuring you can only win boss fights by skill (and leveling up) instead of just stocking up on curatives. Enemies do drop lots of items of stuff, including regenerative items, but they also build up combo multipliers that will increase your offense, defense and even experience gain, as long as you continue to smash stuff. The magic system is also pretty cool, in that you can drain it pretty quickly by tossing fireballs, but it recharges fast, as long as you ease up on it. Ys Seven did have a rad soundtrack, but Ys III also has some of the best music ever composed for a video game. My personal favorite track is the Tigre Mine theme, Be Careful, which I have set as my ringtone (and you can grab it here.) The remixes of these songs featured in Felghana are fantastic, of course, but the PSP version also includes the X68000 and PC88 versions, for those (like me) with a fetish for FM synthesis and tinny drum samples. The PC88 version sounds most like the Genesis version, which is the one I'm most familiar with (and the version I grabbed the ringtone from.) The only one missing is the amazing Turbografx-16 CD audio version (which is the one embedded above, followed by the Felghana version), which is absent due to rights issues, seeing how that port was done by Hudson and Alfa Systems, rather than Falcom. Plus, the limited edition boxes fit together to form one image! (Thanks to Ike from the HG101 forums for the image.) As usual, you'll be supporting an awesome company who's taking quite a risk of bringing this titles to a (purportedly) dying platform, again making these essential purchases. Please, go for it! Thanks for the reminder - I had this for PC, patched into English, but never had the time to play it. So decided to wait for the PSP port. Can you comment on what if anything they changed from the PC version when bringing it to PSP? The PS2 port of Ys 6 had the intro changed into ugly CG, and had different main character designs. Also the UK version had content removed from the game because they wanted to fit it onto a cheaper blue-disc CD, instead of a DVD like the US release. The PSP kept the original intro and character designs, but removed all the blood. Felghana on PC had a tick box to turn blood on or off, and I'm curious whether it was left intact for this, or disabled completely. Actually, I wouldn't be surprised if you could have hacked Napishtim on PSP to flick the hidden "allow blood" tickbox to on. I absolutely, totally want to support Falcom with this, but if it's a cut-down job like Napishtim on PSP, I might go buy this but go back and play the PC version. It's been awhile since I played the PC games, but...I don't think the blood splatters are there (I remember them being prevalent in the PC version of 6 but totally missing in the PS2 version), but enemies still explode in dismembered limbs, so there's that. It also adds voices, most of which are alright, through the guy who does the narrator is awesome. There's also the music switch option, too. Great port overall, definitely better than Konami's version of 6. Do you have a History of Action RPGs, similar to the History of Fighting Games, post somewhere? I'd like to read that. No, but you're tempting me to write one RIGHT NOW. Of course, anyone who dares get into the "Is Zelda an action-RPG" argument is going to get internet strangled. Just laying that out there now! This games seems really nice. I had heard about the Ys series, but never played any of them. Maybe now's the time to get into these games? SaGa and Ys aren't anything alike, honestly. SaGa is basically a Final Fantasy-type game, with multi-character parties and turn-based combat, but with a much more open-ended structure, less story, and some obtuse battle/character development mechanics. On the other hand, Ys is all about action. The more modern ones (6, Felghana, Origin, 7) feel a lot like arcade games in an RPG structure and are quite challenging, usually requiring a good amount of twitch skills and pattern recognition. The only similarities lie in the music style, which leans on the heavy rock side (with the exception of SaGa Frontier 2 and Unlimited SaGa, although those are both decent in their own ways.) Great soundtracks for both series almost all around. There is an obscure Japanese Windows game called White Diamond that supposedly compares to the older Ys games (in terms of the enemy-bumping mechanic). Also, an old Taiwanese Ys clone I've posted about in the Taiwan thread. I own both. And I picked up both Limited Editions for those awesome soundtrack CDs. And yes, I will buy the third game XSeed translates in January. I have become an Ys addict these past few months. I'm waiting on Seven. Oath in Felghana, I bought IMMEDIATELY. Been waiting for this for ages. Sketcz- The PS2 version had a hidden option that let you put the original intro and non CG cutscenes on, along with Japanese VA. I'm buying this game in oh...5 or 6 days? I sure hope X-Seed doesn't go out of business because I procrastinated on buying their game! :) That special edition thing is pretty cool though, hopefully they continue that with Ys Chronicles. Please lordy write a history of action-RPGS post!! 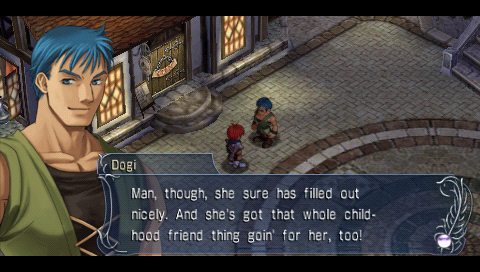 Re-playing Ys Book 1 & 2 right now, actually. I'd still really like to play the original III for the Turbografx CD, as well as import that original Felghana PC release...not enough time! Urghhh. Looking at the picture of the two game boxes...it looks like the Ys that comes out in January will probably extend that box art. Hey all. new to the forum. Seven was my first with the series. I leveled up a lot and collected money, so it took me a little longer than it should have (35 hours). Despite the long length, I couldn't get enough of the game. Ok; think I've made my point. I was happy to hear that despite using the same engine as Napishtim (which had gameplay that I consider FAR inferior to Seven's) they cut down on the massive and frequent load times which has kept me away from completing the sixth game in the series and probably always will (I don't have a PS2, though I may consider borrowing my younger brother's just to see if it improves the experience). Went out to gamestop to check on two games: Lufia: Curse of the Sinistrals and Oath in Felghana. Both $30. I'm excited to buy it tomorrow. I figure if enough people buy the three localized games, Falcom may consider bringing IV and V here (maybe on PSP2). Anyway, great website and excellent series, ranking just below Castlevania for me personally. You sir, have convinced me. Tomorrow I shall buy this! I now regret not buying the special edition of VII seeing how the boxes fit together. And I concur that VII was a little too long. Great game, but best played in short 30-60 minute bursts. Do you have any recommendations on the best version of 1+2 to pick up? Was thinking about the TG version on the Virtual Console. @digitalnametag, I can't rightly bash the TG-16 ports because that's where I got my Ys start and I have a fondness for them, but their "bump into bad guys" mechanics might feel a little weird. The PC remade version, which is what the upcoming PSP port is based on, still features it, but it's much smoother and more satisfying - there's better feedback to determine if your attacks are successful, plus you can run in 360 degrees instead of just the four cardinal directions. Stay the hell away from the DS version, though. I'm having trouble defining what an action-RPG really is - is Ultima one? How about Diablo or innumerable CRPGs? - so I might just have to reel it in to Japanese ones, like Ys, Zelda, Quintet, Landstalker, various other Falcom stuff, and so forth. Diablo is an action RPG, because it focus on click'n'slash and loot rather than other RPG elements. My knowledge of those types of games tops out at Diablo and some its console ripoffs though, so I'd be a bad one to catalogue those. Probably will just stick to JARPGs when I get around to it. Heh, not getting Diablo and western games involved, but you might create a shitstorm just by calling Zelda action JRPG. Anyway, looking forward to your article. Kurt, if you're doing that JARPG post, I'd be quite intrigued to "counter" with a WARPG one. Now that you mention Landstalker, my dream HG101 article would be an in-depth look at Landstalker and it's sequels, both actual and spiritual (ie Alundra, which IMO is the by far the best action RPG ever made, Ladystalker, Dark Savior... oh, and I guess Time Stalkers). I'd be especially interested in getting a look at the story behind those games' development. Back on topic, I'm a long time Ys fan, but didn't enjoy Ys Seven much. To me what made Ys great aong its peers was the brevity and fast pace of it. People seem to have a problem with the whole running-into-enemies mechanics of the whole game, but to me the feeling of just running through waves of monsters ridiculously can't be beat. By comparison, monsters in Ys Seven had far too much HP, requiring 6-7 regular hits or more to defeat-the whole thing felt drawn-out and repetitive, and often got boring. 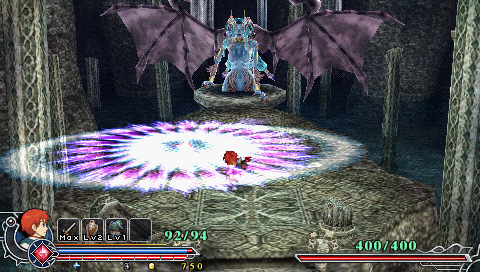 Playing the game on the Normal difficulty setting, most bosses could be beaten simply by mashing the attack button about 200 times. The dungeons were also too long, lazily designed and came down to basically nothing else but running around killing stuff and picking up materials. The OST was also a big letdown for me, with only about 4-5 decent tracks. Oh, and the story was corny, and the characters and locales you visited boring and generic (with the exception of the Iskan's town). It's probably above average for a PSP RPG, since most of them are terrible, but it had very little of what I like about Ys. The Oath in Felghana, though, is stellar. I actually liked Ys 3 quite a bit, myself (though I played the Genesis version, and I gather that the other ports are lot jerkier), but yah, OiF really hit the mark. We must dream alike because I've been wanting do a Landstalker article like that for awhile. It would be called something like "Landstalker and the Search for its Sequel" and go on about all of the games that are kinda sorta similar, and progressively more depressing until we end up at Steal Princess. There have just been so many fake-outs over the years. Alundra was pretty good, at least, but damn was it hard. I'm assuming you're referring to all those neat puzzles, which are part of what makes a great Action RPG to me, much like the focus on exploration (ie tons of cleverly hidden stuff to find, think Beyond Oasis and its gems). You can certainly chalk it up to Zelda being as least as influential to the genre as Dragon Quest might have been. Apologies if my writing is confused, I'm sleep deprived, etc. etc. I guess what I'm getting at is that there is more that seperates your typical action RPG from its turn-based counterparts than simply real-time combat. As far as I know, the UK version had this removed when they downgraded it from a DVD release to a blue CD release. At least, that's what I heard.